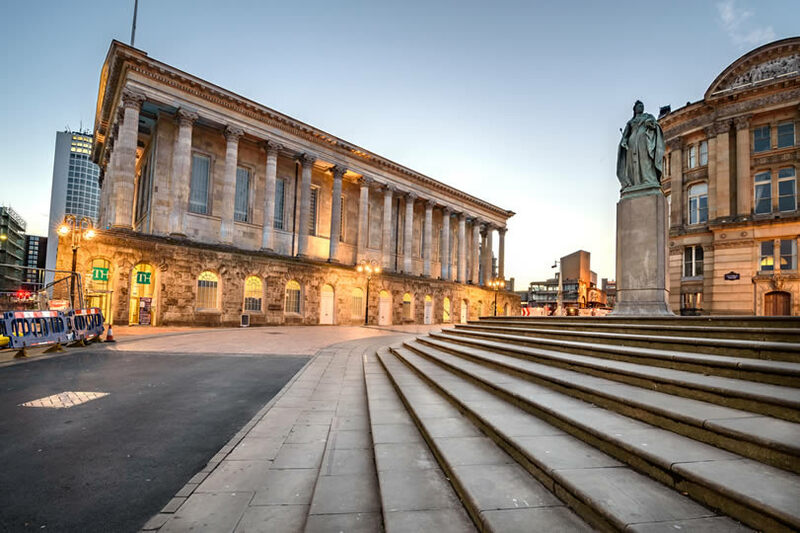 Whether you have a family member or friend in the Queen Elizabeth Hospital, Birmingham or whether you’re having treatment as an outpatient, you’ll want to find cheap accommodation nearby. The hospital is in the Edgbaston district of the city and near the centre of town so you’ll easily find hotels that meet your needs. Perhaps you’re having treatment or are staying at this medical centre for a few days and want to have your family nearby. A b&b is an excellent choice and there are lots to choose from in the area. Look for family friendly accommodation if you’re bringing children or search for hotels outside the city centre if you want a peaceful haven after a busy day. A traditional chain hotel in a Victorian building, with free parking and wifi, the hotel is said to be clean and comfortable with friendly staff and a nice atmosphere. This is a comfortable cheap budget hotel that is on the Birmingham University campus, so not only is it handy for visitors to the university, but it is also a short walk from the hospital, probably one of the nearest budget hotels. On the bus route to the city centre, this hotel is perfectly placed no matter what the reason for the stay. Set only about a mile from the hospital in the leafy suburbs, and on public transport routes, this hotel is close to Cadbury World and buses to Birmingham City centre. There is an onsite restaurant and bar with live music and live sports as well as darts and billiards. This large hotel is within easy reach to Queen Elizabeth Hospital. The property has 174 rooms, so its worth a try if you are mzking reservations late. This is a traditional hotel with a restaurant and bar, as well as a gym, swimming pool, spa, garden, and conference area. It has free parking onsite, which is handy as the city centre is a distance away. There are also buses nearby. This is a modern two bedroomed apartment with a fully equipped kitchen and bathroom. The property is within a few miles of the hospital and just a bit further from the city centre. This b&b is set in a 10th Century listed building which is set in 10 acre landscaped grounds and is also a Quaker Study Centre and is run ethically, with fairly traded beverages and toiletries provided. A very peaceful place. A hidden gem with excellent reviews, this property has a lovely Tudor style facade. The b&b is about a mile and a half from Queen Elizabeth Hospital, within walking distance or a short bus hop. This is a 17th floor apartment in Birmingham city centre, modern, well equipped and stylish, ideal for a special view of the city and only a short bus ride to the hospital. This guest house offers good facilities and amenities including free toiletries and hot drinks facilities in rooms. There is an on-site bar and restaurant with a terrace and garden. The Prince Hotel offers free breakfast to guests. Friendly clean and bright modern accommodation. This article looks at a variety of hotels in the vicinity of Queen Elizabeth Hospital, Birmingham. From budget to upmarket, short to long term, there is accommodation for anyone needing to stay near the hospital. 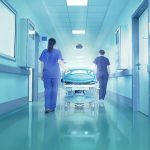 Why Book a Room near Queen Elizabeth Hospital in Birmingham ? Queen Elizabeth Hospital Birmingham is situated in the Edgbaston area in Birmingham, West Midlands of England UK. It replaced the previous Queen Elizabeth and Selly Oak Hospital. It’s a major teaching facility part of the University Hospitals Birmingham NHS Foundation Trust. The Queen Elizabeth is named for the late Queen Mother and the hospital opened in 2010. With over 1,000 beds for patients, it’s the largest single-site NHS care facility in the country and it also has Europe’s largest critical care unit with over 100 beds. The modern hospital site can be reached easily by bus or taxi from any part of the city so be sure to check if there are bus stops near your accommodation. The healthcare center is now the new home of the Royal Centre for Defence Medicine, which cares for injured service men and women from conflict zones, as well as training Army, Navy and Air Force medical staff. It has the largest solid organ transplantation programme in Europe, and has the largest renal transplant programme in the United Kingdom. The hospital is also a national specialist centre for liver, heart and lung transplantation, as well as cancer studies. The Queen Elizabeth has the largest organ transplant programme in Europe and the UK’s biggest renal transplant programme. Thousands of people have been successfully treated at the hospital to date. In fact, this medical infirmary is the country’s main specialist centre for cancer care as well as heart, lung and liver treatment. This healthcare center also treats patients with minor ailments and offers a wide range of physiotherapy services. The hospital has its own gym which is of great benefit to patients attending the Respiratory Medicine department for ongoing after-care. The medical centre also has 30 operating theatres and it’s one of the most efficient acute care facilities in the region. You’ll enjoy a stress-free experience with the best possible care and of course, if you book accommodation or one of the cheap b&b hotels nearby, you’ll also have a peaceful base in the city. You can take the 99 bus heading towards Halesowen from stop NS3 near New Street Station if you’d like to check in at the hospital after your train arrives in Birmingham. Several buses stop or pick up just outside the hospital entrance including the 48, 76, 84, 98 & 99 while the 11A, 11A, 29 & 29A stop on Harborne Park Road for those with hotels in the Northfield or Harborne districts or accommodation in Erdington or Perry Bar. The hospital site is situated very close to the University of Birmingham. Other major medical facilities in the city are the Heartlands hospital and Birmingham City medical center. 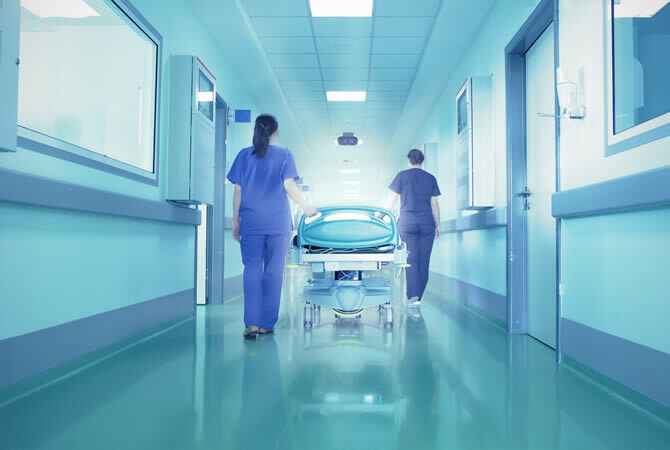 Choosing cheap hotels in the outlying districts of the city can save you money if you or your loved ones expect to be in hospital for some time. Alternatively, city centre hotels and b&b establishments are close to all of the city’s facilities and attractions. 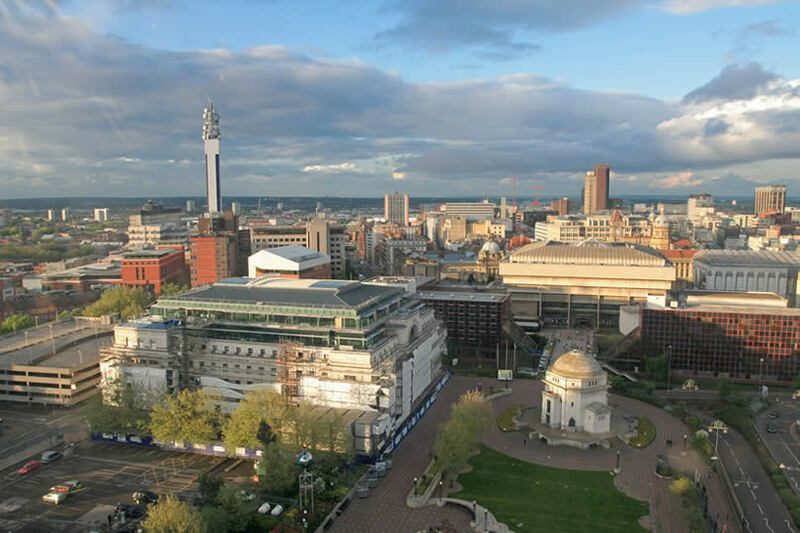 It can be helpful to spend the day shopping at the Bullring Centre or exploring the Jewellery Quarter when you’re waiting for a family member to get well. However, they’re sure to be in good hands, no matter how serious their illness. Be sure you can find inexpensive deals for hotels, self catering apartment to rent or cosy bed and breakfast not far from the Queen Elizabeth hospital site, University Hospitals Birmingham NHS Foundation Trust healthcare, in Edgbaston England UK. Properties close by the hospital are about 5 minutes drive from the city centre, 10 minutes from New Street Station and 30 minutes from the International Airport and the NEC. The International Convention Centre site, the National Indoor or Barclaycard Arena and Cadbury World are within easy reach. The bustling city centre has a vast mix of restaurants, bars, cinemas and theatres. Popular is also staying in a furnished apartment to rent for one night or the weekend. Location : located in the Edgbaston district of Birmingham, to the south and west of the city centre. Edgbaston District is comprised of four wards: Bartley Green, Edgbaston, Harborne and Quinton. Nearest Hotels : in the Edgbaston area of the city on Edgbaston Park Road, Serpentine Rd, Old Church Road, Hagley Road, Stanmore Road and Portland Road. By Car from the M5 : Leave M5 at Junction 4 and follow A38 Birmingham for 6.75 miles, after which you will encounter a major set of traffic lights. Turn left following A4040 Harborne/Queen Elizabeth Medical Centre, passing the large Sainsbury’s store on your right At the roundabout, take the second exit onto Aston Webb Boulevard. Continue over the next roundabout onto New Fosse Way. At the next roundabout, turn left onto Hospital Way for car parks for both the QEHB (Car Park A) and old QE (Car Park D). By Train : The nearest railway station is University station, which is less than 10 minutes’ walk from the hospital. By Air : Birmingham International Airport is within easy reach. The NEC Convention and Exhibition complex and the on-site Genting Indoor Arena is located right beside the airport. By Bus : the complex can easily be reached by a number of National Express West Midlands bus services. Barber Institute of Fine Arts (University of Birmingham, Edgbaston, B15 2TS England): Little art gallery and concert venue located on the University Campus grounds. The gallery is free to visit and displays some beautiful well known and less well known works of several artists. It’s an absolutely beautiful place to visit. Winterbourne House and Garden (58 Edgbaston Park Road, Edgbaston, B15 2RT West Midlands England): Botanic garden of the University of Birmingham. The Winterbourne House, which is well restored, houses beautiful antiques and over 6,000 plant species from around the world. Nature Centre (Pershore Road, Edgbaston, Birmingham B5 7RL United Kingdom): small zoo home to goats, sheep, pigs, beavers and otters. Can be found on the edge of Cannon Hill Park. Nice place to spend with the children ! County : West Midlands, England UK.